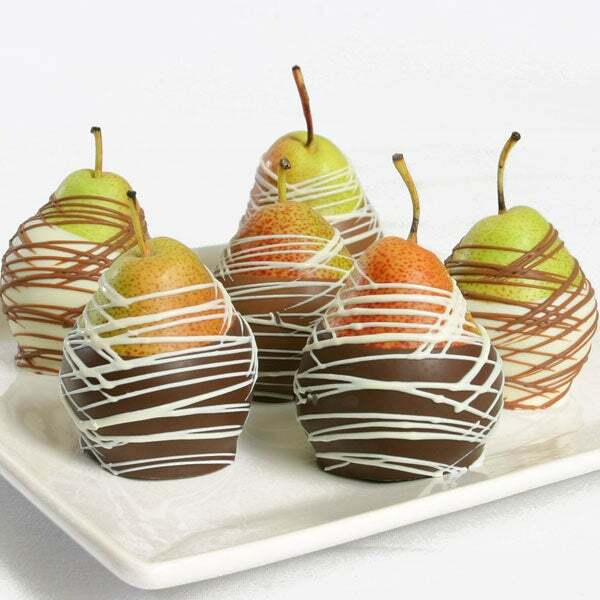 Belgian Chocolate Dipped Pears is rated 5.0 out of 5 by 1. Rated 5 out of 5 by Friend from WOW Ordered the Belgian Chocolate Dipped Pears for a friends birthday. The order was delivered on day specified, and best of all, she is totally thrilled with not only the presentation but the quality. Thank you once again for providing the perfect gift! A decadent treat of juicy, tender oversized pears that are carefully hand-dipped into rich, imported white, milk, and dark Belgian chocolates, then elegantly embellished with ribbons of silken chocolate confection.